This is the biggest thing you can do in 2013. Be there! 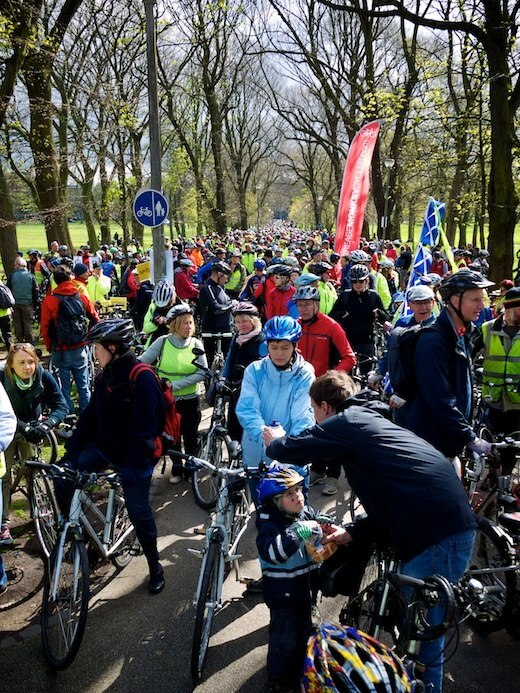 Last year at the end of April, Scotland was rocked when up to three thousand people shut down central Edinburgh, riding between the Meadows and Parliament to ask the Scottish Government to get serious about cycling. Just a couple of hundred were expected to attend, but it turned out to be the “biggest ever demonstration on any subject to take place in the public arena outside the Scottish Parliament”! 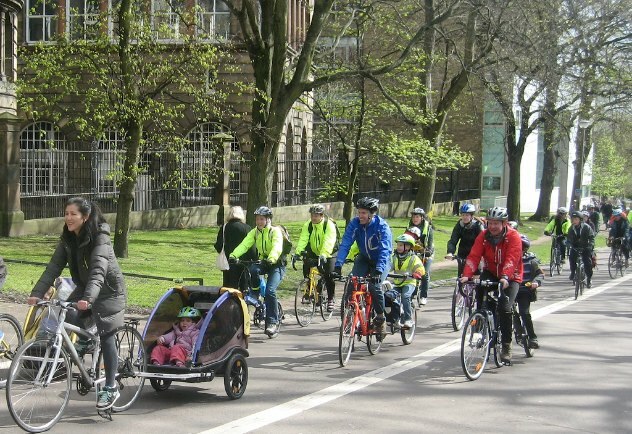 This year, Pedal on Parliament will take place on closed roads and organisers expect to see an even greater number of families participating after several Edinburgh schools agreed to promote the event. Formal feeder rides have been established to help get you to the event without hassle, and these are coming from as far away as Glasgow and Kirkaldy if you want to make a big day of it – otherwise there are plenty from different parts of the capital. So you don’t even need to worry about getting to the Meadows! Taking part in the first Pedal on Parliament was a formative experience for me, one of the greatest things I’ve done in the twelve years I’ve been living in Edinburgh. Fun, friendly, socially significant – and you’ll never see central Edinburgh in quite this way again. Spread the word – Sunday May 19th. It’s a must for your diary. Please see the official Pedal on Parliament website too. Know you are in midst of a house move so tricky getting time to be online during this changeover. As you know it was another fantastic afternoon out. Saw you outside of the parliament so no doubt a report is imminent. So many people there it was impossible to catch up with everyone. Estimate was around 4000. For those who want to see what the view was then you can look on the Edinburgh City Cycling forum in meantime. Quite a few pics and videos. Pics of mine to follow, but probably no comment this far past the event!